Antenna put to the test. Rob taking his turn cranking up the tower. Rob installed the PL259 and we made the connection to the rig. Next we checked the tower manual to see what limits the tower travel. There was no mention of cranking up the tower other than what to do if travel binds up. 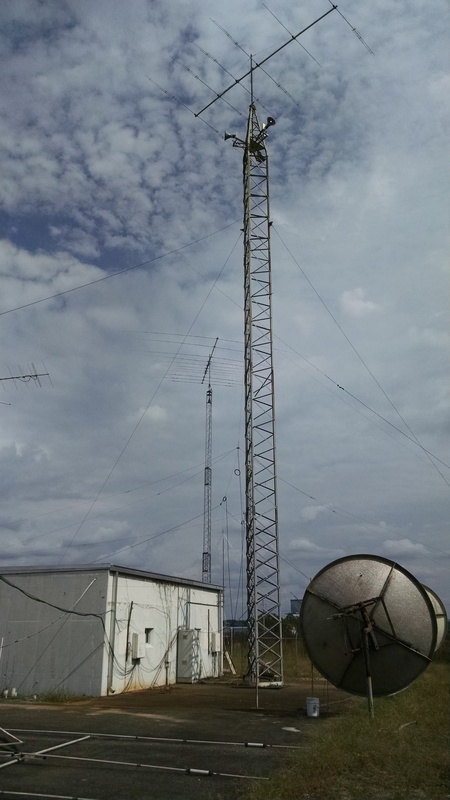 Just imagine what field day would be like if the antenna on the old 90′ tower was functional. 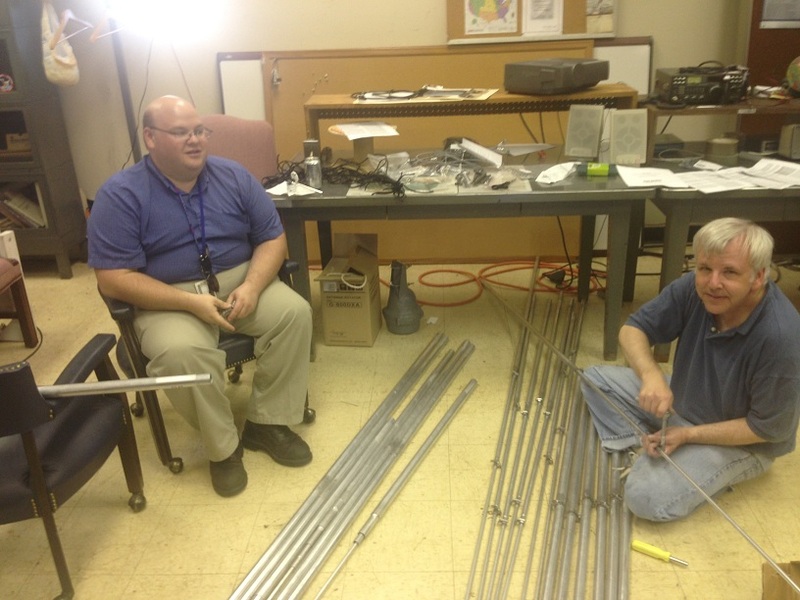 For our work-play session on September 16th, we assembled the antenna elements of the TH-DX-11. We were visited by KS4UA, who took the photos. John Morgan had a constructive lunchtime. 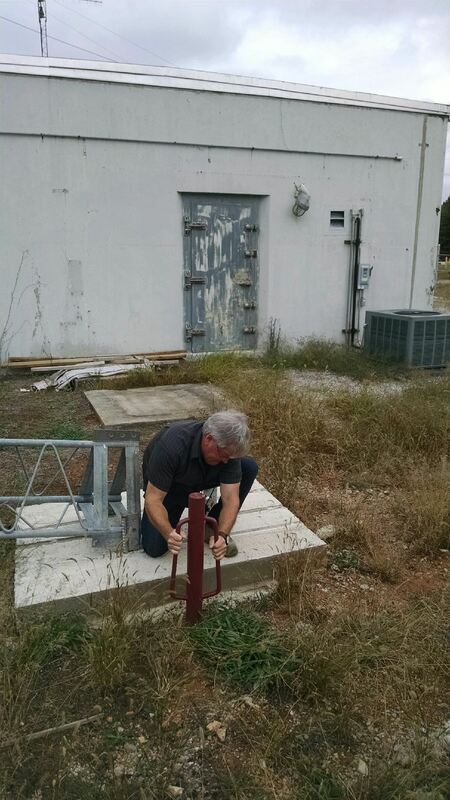 We have identified a mast suitable for the antenna that Rob is working toward obtaining. It won’t blow our budget, but both will need approval at our meeting on August 6th. 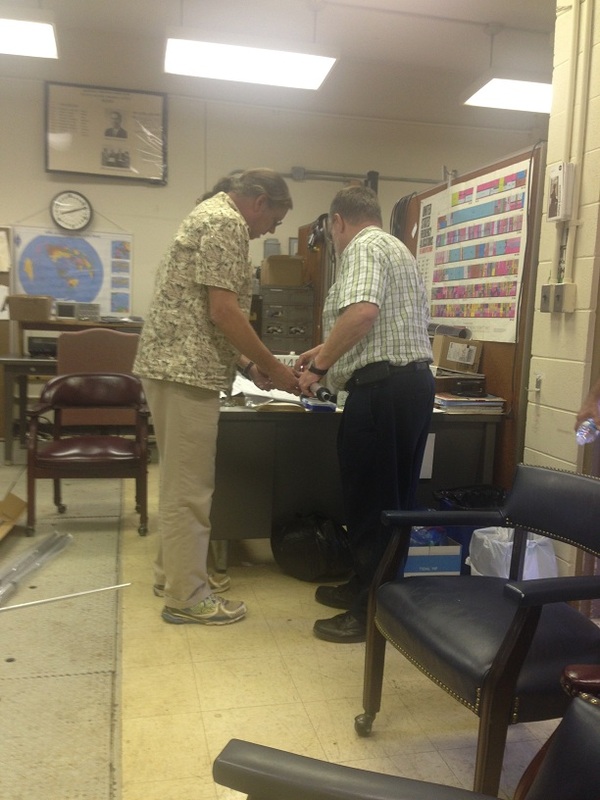 Redoing our 160 meter OCF antenna. 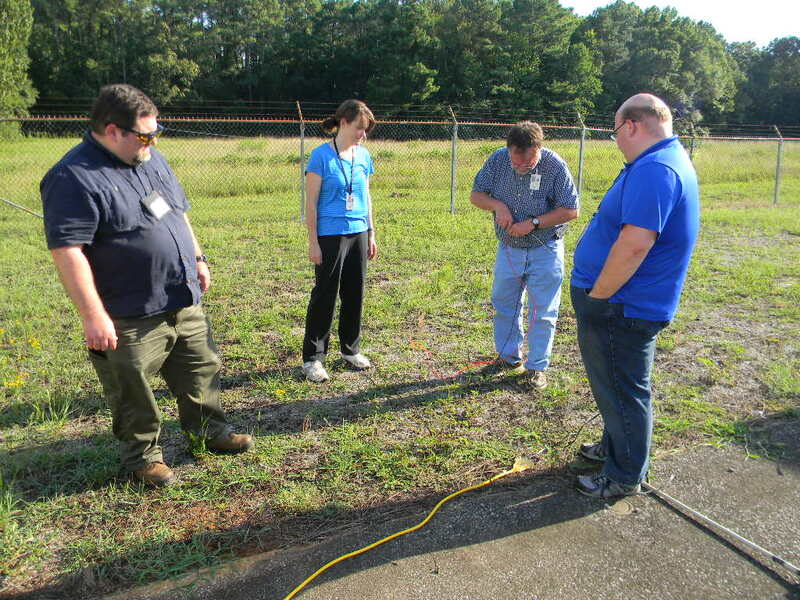 Here our group took down the northeast side of the antenna, and soldered a different length extension. 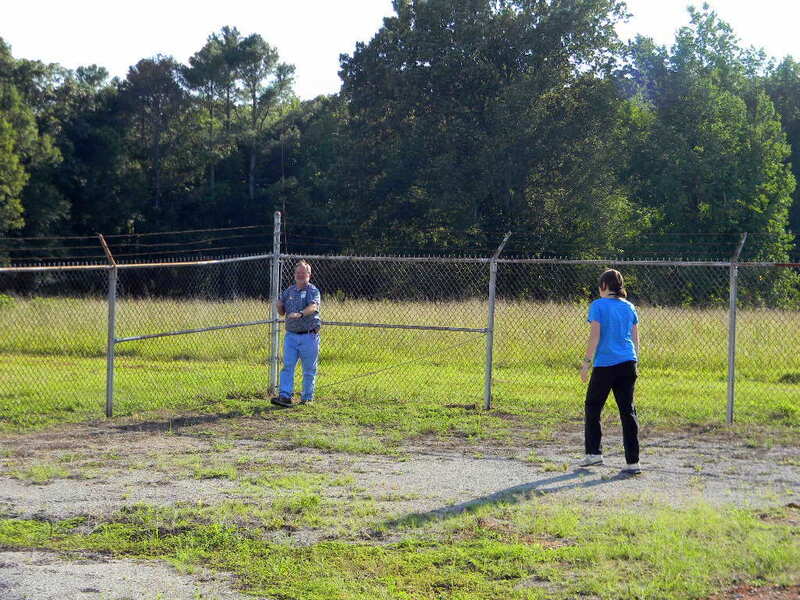 At our last Work-Play session on August 12th, we tried to retune our 160 meter Off Center Fed (OCF) antenna. We had been using it as our primary multi-band HF dipole antenna. 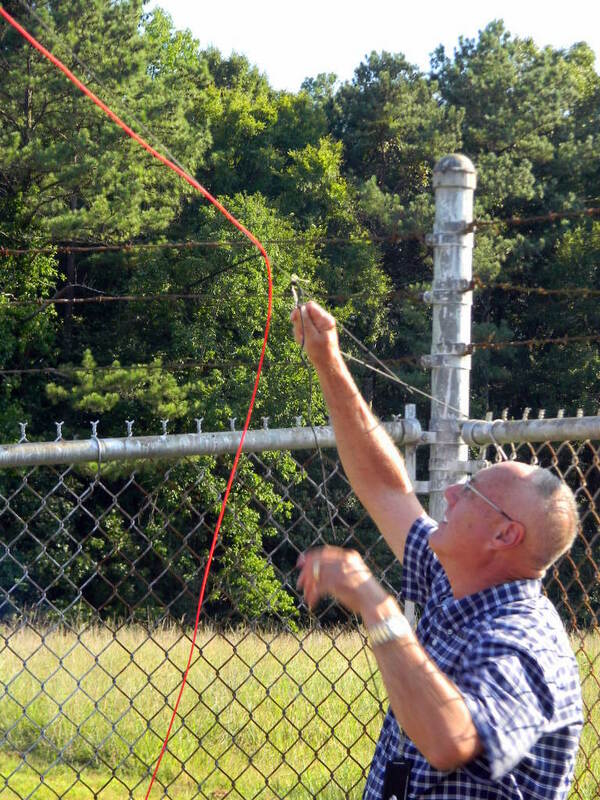 It worked well on a number of bands: 80, 40, and 30 meters, portions of 17, 15, and 10 meters, and the upper half of the 160 meter band. 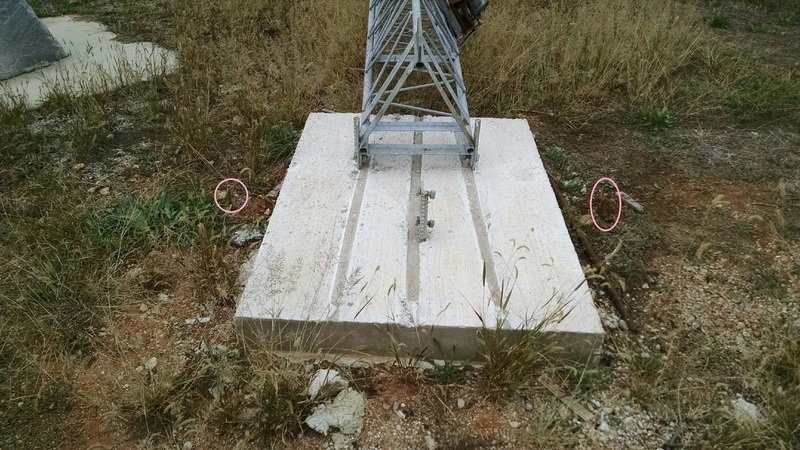 We could not, however, tune our transceiver on the lower portion of 160 meters, including the CW portion, without using an extra antenna tuner. 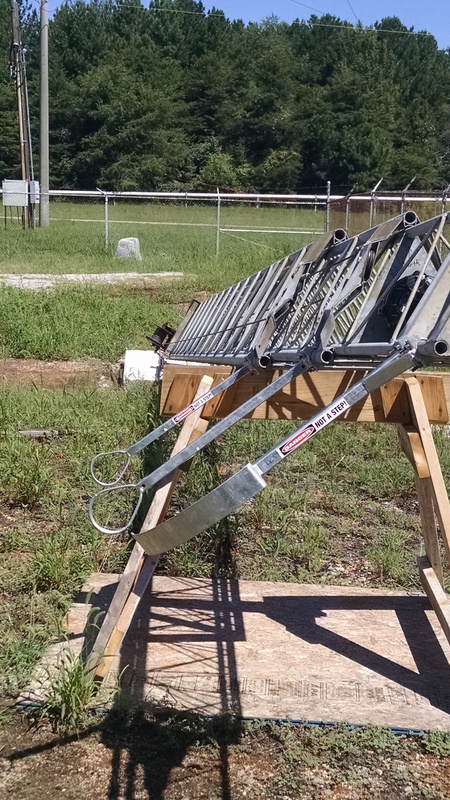 Now we have dedicated dipole antennas for most of those other bands. And so, led by the Station Operation Committee team, we decided to try to retune the 160 meter OCF, to make it usable on the rest of the 160 meter band. Our first attempt was to change the lengths of the antenna wire at each end. 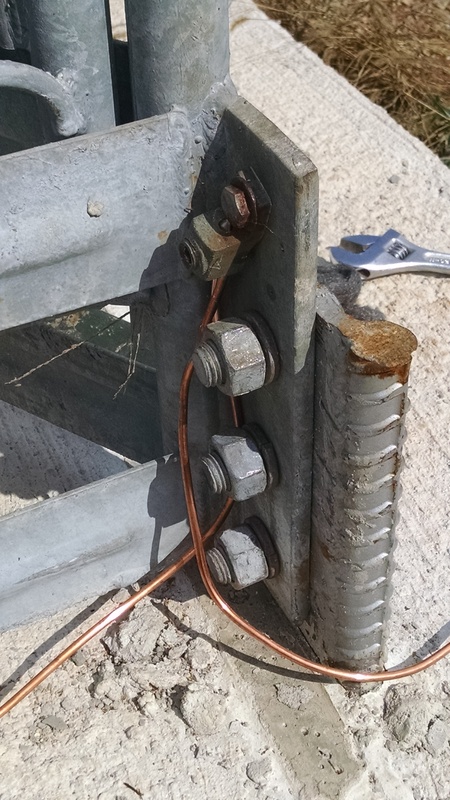 We removed earlier extensions at the ends and soldered different lengths. 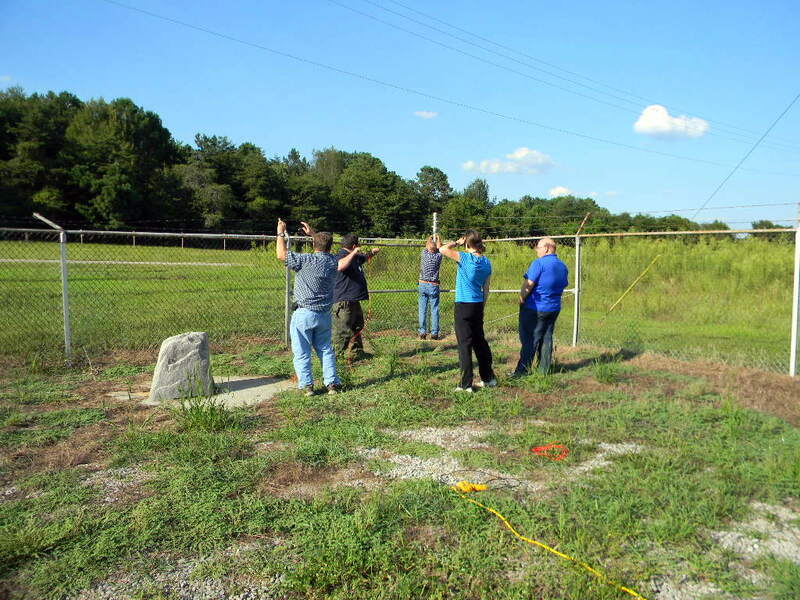 Temporarily removing the southwest end of the 160 meter OCF antenna from the fence post. Michael KG4OZK, Emily KM4LLT, Rob KB5EZ, and Matt KA0S. Rob attached an extension to the southwest half of the OCF antenna. 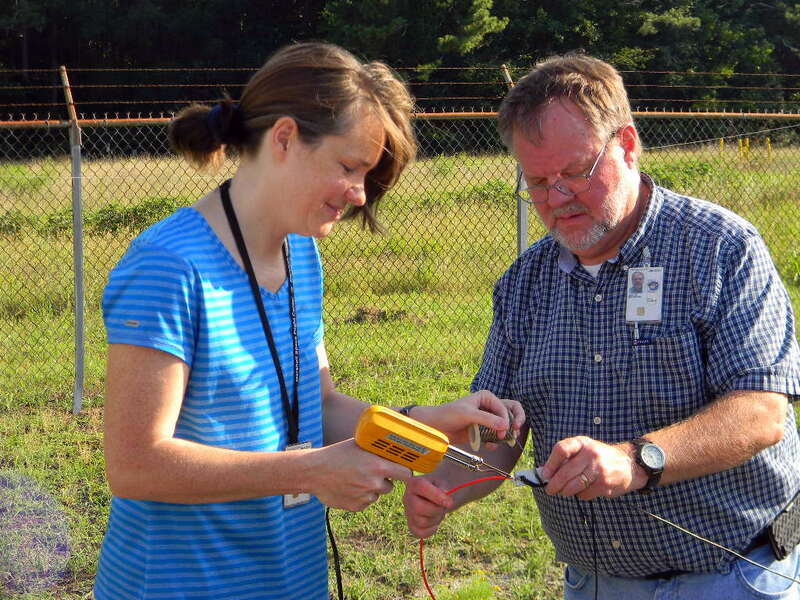 Emily and Rob soldering an extension to the southwest half of the OCF antenna. 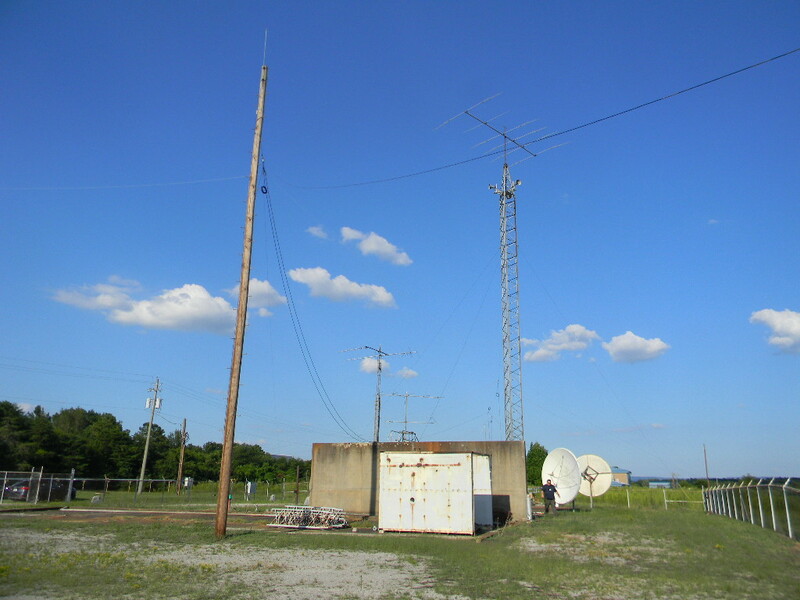 View along the OCF antenna from the southwest to northeast. Dave KK4IKR reattaching the southwest end of the OCF. 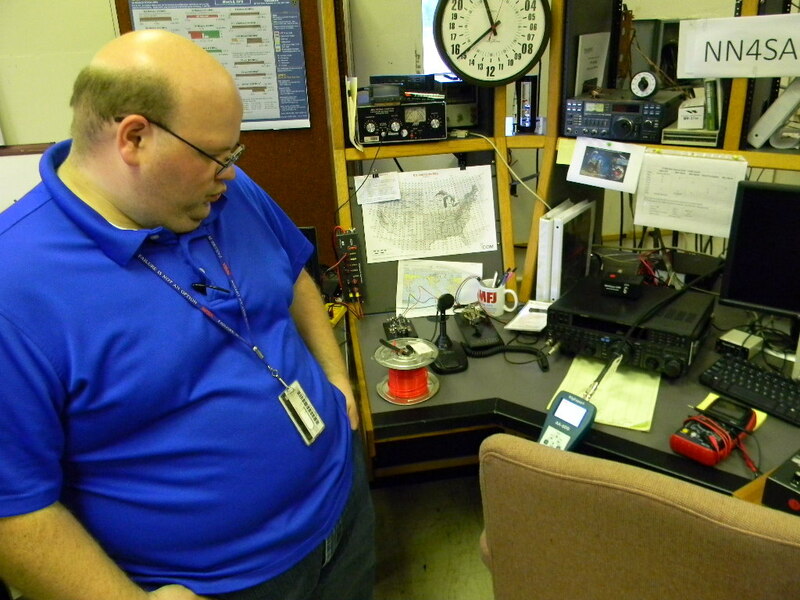 Matt KA0S tested the 160 meter OCF with his antenna analyzer. 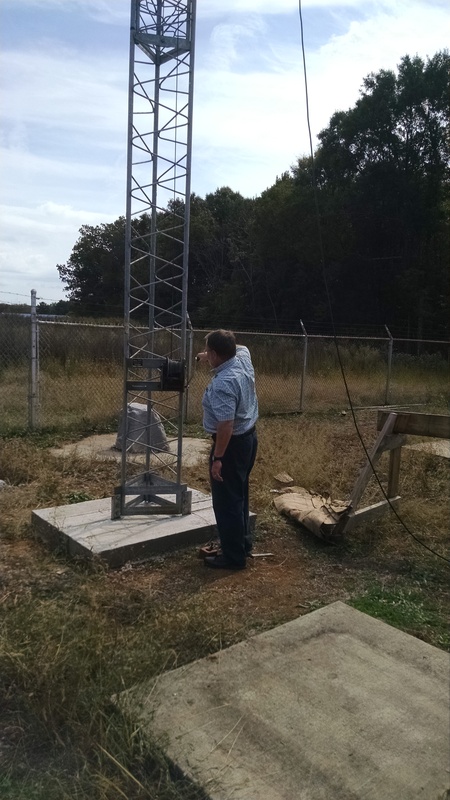 He also checked the other dipole antennas that have replaced the OCF on the other bands, to make sure we have the capability on those other bands. 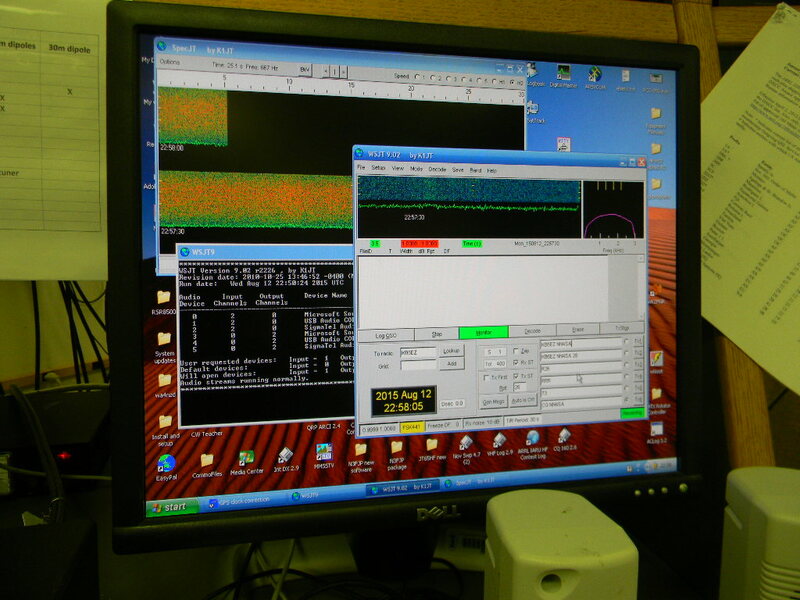 The antenna analyzer results looked good. That is, we had resonance now at a lower frequency on the 160 meter band. 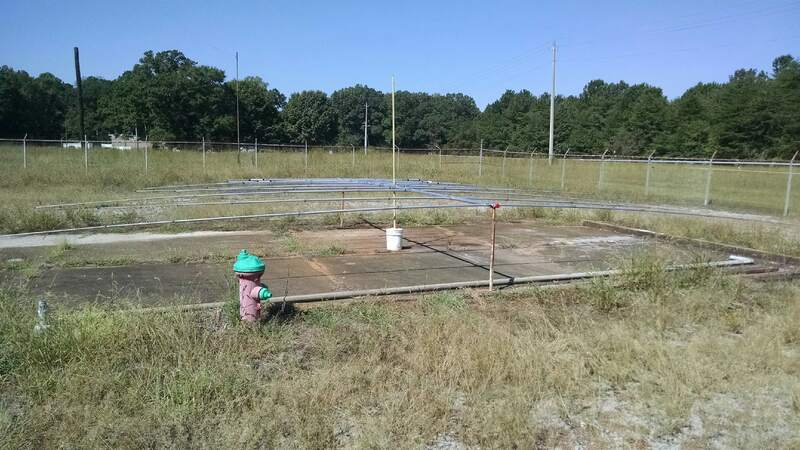 However, later testing with our rig showed we still had a high Standing Wave Ratio (SWR) with the rig grounded. Time for more Sherlocking. 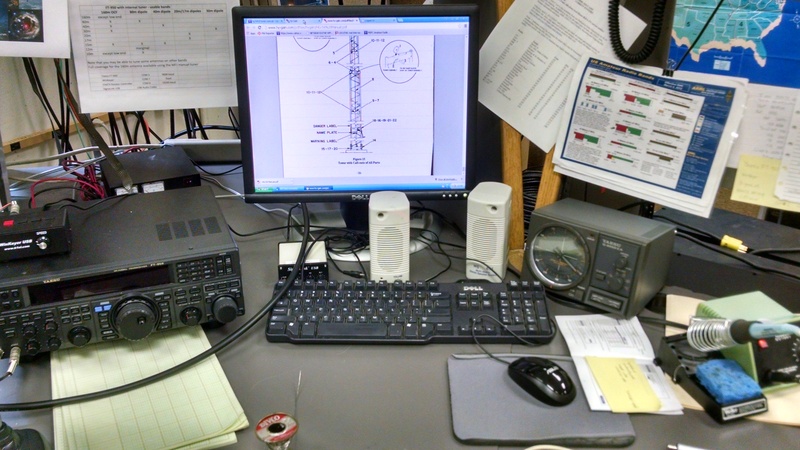 After working on the OCF antenna, we reviewed how to use our radio and software for meteor scatter.